Radio Frequency Systems (RFS), a global designer and manufacturer of total-package solutions for wireless and broadcast infrastructure, has announced the release of its FDPL Series of ShareLite™ PCS/AWS-WCS-2.5 GHz small cell diplexers. This is RFS’ first product in a complete line of small cell multiplexers that are designed for maximum performance with the smallest size and lowest weight available in the industry. Ideal for use in small cell applications, FDPL Series diplexers allow 4x4 MIMO in PCS/ AWS-WCS-2.5 GHz bands and provide best-in-class PIM levels (-161 dBc) while minimizing the space required in tight small cell enclosures. 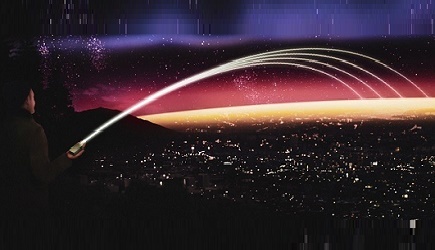 Small cell and distributed network solutions (DAS) networks have become increasingly important as U.S. operators strive to keep up with capacity demands in crowded areas by deploying new spectrum. Providing optimal coverage in high-traffic venues such as airports, office buildings, campuses, stadiums, convention centers, hotels, and transit systems can be difficult - but has become the expectation of mobile device users. As a result, operators are densifying their 4G LTE networks, but must provide in-building networks to supplement the outdoor macro networks. However, deploying in hundreds of separate venues can be financially unrealistic, and also aesthetically undesirable to the property owner. Now, Neutral Host networks are emerging as a solution to this problem. Neutral Host carriers have the ability to serve a wide range of venue types where one infrastructure for all mobile operators is preferable. In these scenarios small cells increase capacity and extend coverage outdoors, and DAS networks support high traffic indoor venues. RFS small cell multiplexers deliver excellent performance in a small size package. The small form factors not only give site integrators the flexibility they need when space is at a premium in the latest small cell/in-building deployments, but can also reduce leasing costs in macro site deployments. Single, dual and quad configurations are available in both side-by-side and stacked configurations for maximum installation flexibility. RFS’ innovative cavity filter design enables a very low insertion loss while keeping the product extremely compact and lightweight. The usage of highly selective filters also guarantees a high isolation level of 40dB between ports, ensuring an interference-free environment for any technology deployed. The filter design also has built-in lightning protection for additional reliability. 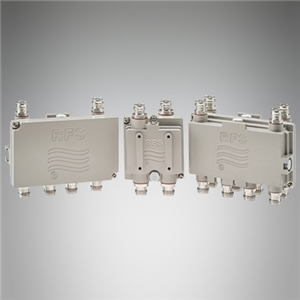 Designed to withstand the most severe outdoor environments, RFS diplexers also feature IP67 class protection with a vented enclosure to avoid any possible effects of condensation and pressure instability, thus providing a long lasting, extremely reliable solution for any network. 4.3-10 connectors are standard. Click here to learn more.